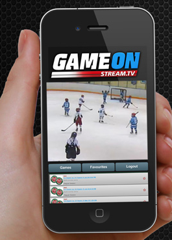 All your NT House League games are streaming Live & On-Demand! Click video above to see GameOnStream in action! Your games will be streamed, unless a player from either team requests that their games not be broadcast on NT LIVE by ‘opting -out’. If neither you nor any other player participating in a game ‘opts-out’, consent will be implied and your game(s) will be streamed both live and on demand. If you have any questions or wish to ‘opt-out’ now or at any time in the future, please contact GameOnStream directly at info@gameonstream.com. Thank you to Scotiabank and GameOnStream. WHAT PEOPLE ARE SAYING ABOUT NORTH TORONTO HOCKEY LIVE! “We are Grandparents and appreciate our family including us and making it possible to see games that our Grandsons are participating in. Watch games on your computer or mobile device!